Melbourne is a unique city buzzing with ceaseless vibrant and inspiring arts. Its extraordinary architectural beauty, heritage preserved sites, dynamic cultural influences, innovative modern arts, eccentric sculptures, and distinctive street arts are like numerous arteries, veins and nerves, keeping the heart of Melbourne constantly beating with unstoppable exhilaration. Hence, it remains an unsolvable mystery to me on why the state government would ever allow hundreds of homogenous-looking trams colonizing the tram routes of Melbourne in such unexciting manner, silently assassinating those numerous opportunities to showcase the limitless creativity of the Melbournians. 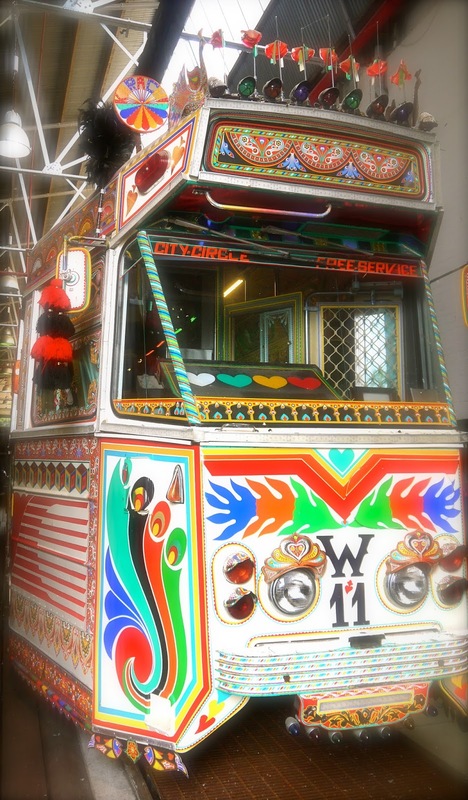 The extremely dull and uninteresting tram design has much to learn from the ostentatiously decorated Karachi bus in Pakistan, and Melbourne city is consciously aware of this! Just slightly over 10 years back, the streets of Melbourne went insanely alive with the arrival of a Karachi tram with elaborated decorations, in conjunction with the Melbourne Commonwealth Games in 2006. The effervescence of colours, flamboyancy of the glorious geometrical patterns, the intricate floral and bird motifs, exquisite poetry calligraphy, the unrestrained adornments, and exaggerated emblazonments; the combination of them all instantaneously took the breaths of the Melbournians away. The tram tracks of Melbourne was took over by the ongoing sight of celebrations and joyousness, with loud Bhangra and Pakistani music blasting in excessive jubilation, and tram conductors dancing delightfully in accompaniment of the tempo of flashing lights. The extravagance of the tram was a madness with surprising symmetrical order. It was a beautiful project transcending culture, race and religion, something that all true Melbournians were eagerly longing for. The joyous party was short-lived. The trams ran from 14 to 26 March 2006. After the end of the Commonwealth Games, the tram was placed into temporary storage. The tram saw the blue sky again when it was returned for limited service for a brief 4 months from 3 November 2006 to 23 March 2007 on every Friday evenings, as part of the City of Melbourne Living Arts program. On completion of the season, the tram was being kept away again. On 19 June 2015, this precious memorabilia left by the 5 commissioned artists from Pakistan was placed into the collection of the Melbourne Tram Museum, and has now become part of the permanent exhibitions in this lovely museum in Hawthorn. The Tram Museum is open for visit on each 2nd and 4th Saturday of every month (except December, when it is open on the 2nd Saturday). Find out more about the location, opening hours and times from its website here. Sheets at Studio Seven place you in a Dream Kingdom where you skim through rest in surprising sumptuousness brightness of Getha.